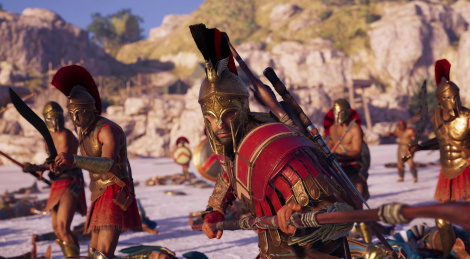 Ubisoft releases Assassin’s Creed Odyssey launch trailer, the game will be available on October 5 on PC, PS4 and Xbox One. Already pre ordered Gold steelbook edition (I'm on a budget). While this made me chuckle, you're missing out some good games. Not everything they do is built upon the AC/Far Cry formula. Starlink for example. 3 - The size of the games is reasonable. 4 - No agenda behind games like they do in the new games (SJW).